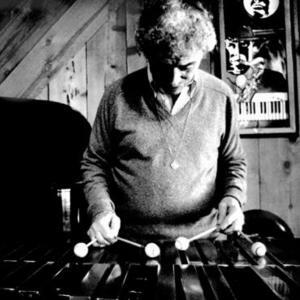 Terry Gibbs (born Julius Gubenko on 13 October 1924) is an american jazz vibraphonist and band leader. He has performed and/or recorded with Tommy Dorsey, Chubby Jackson, Buddy Rich, Woody Herman, Benny Goodman, Louie Bellson, Charlie Shavers, Mel Torme, Buddy DeFranco and others. Gibbs also worked in the film and TV studios in Los Angeles. He, as an instrumentalist, and his big band, The Dream Band, have won prestigious polls, such as those of downbeat and Metronome. He has performed and/or recorded with Tommy Dorsey, Chubby Jackson, Buddy Rich, Woody Herman, Benny Goodman, Louie Bellson, Charlie Shavers, Mel Torme, Buddy DeFranco and others. Gibbs also worked in the film and TV studios in Los Angeles. He, as an instrumentalist, and his big band, The Dream Band, have won prestigious polls, such as those of downbeat and Metronome. With 65 albums to his credit, winner of 3 major jazz polls and creator of 300+ compositions (recorded by Gibbs, Nat King Cole, Les Brown, Cannonball Adderly, Count Basie, George Shearing, etc. ), Gibbs has left an indelible mark in the world of vibes. The Exciting Terry Gibbs Big Band & Swing Is Here!